This is a fully rebuilt and restored 1969 Porsche 911T, in Ossi Blue, code 6803 (original build completed by Porsche on the 06.12.1968) with a 2.0L engine – the car retains its original engine and gearbox - as shown on the Porsche Certificate of Production. The car is in as new condition. 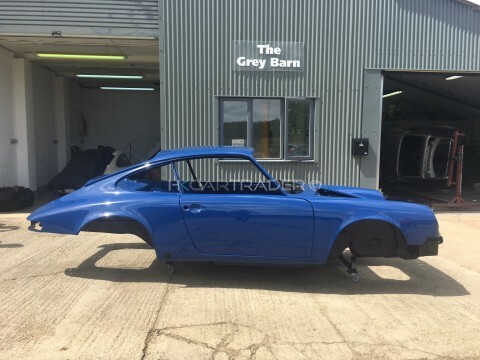 It was the first year of the long wheelbase 911 and as such has many parts from the earlier short wheel base cars are carried across alongside lots of one year only components. The T was the entry level 911 however it still has a luxurious interior with the Porsche comfort seats and basket weave door cards. The exterior benefits from the more subtle chrome work of the T trim, which helps the car look aesthetically lighter and sportier. The car is a pure delight to drive using the manual gearbox mated to the light yet powerful two litre flat six. 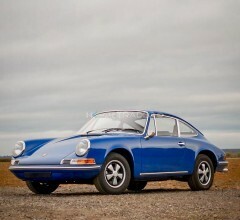 A true Porsche classic. 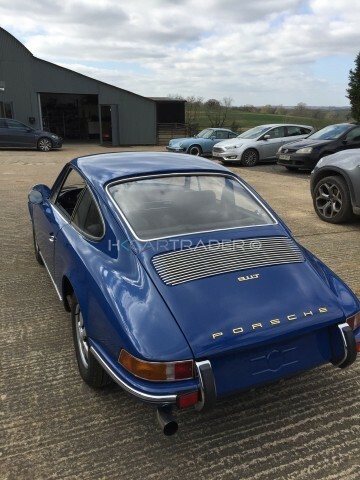 The 1969 911T is a very special car as it uses a large number of one year only components which makes for a very rare Porsche. The car was originally delivered to USA where it remained until 2015. It was then exported to Holland and subsequently to the United Kingdom in 2017. 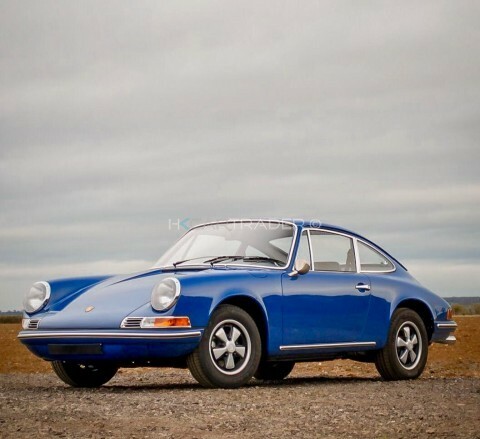 All the work has been undertaken by Porsche specialist THEON Design with the utmost care and attention and now the restoration is complete, it is a stunning car in a very rare colour. 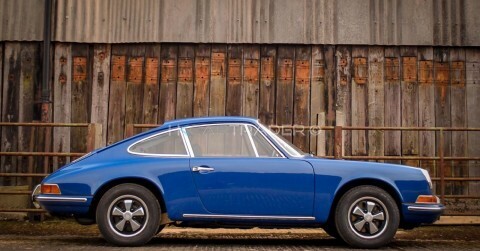 It looks and drives as it did when it left the factory fifty years ago. It is in perfect, as new from the factory, cosmetic order having just emerged from a complete nut and bolt strip down and full restoration by Porsche specialist THEON Design. 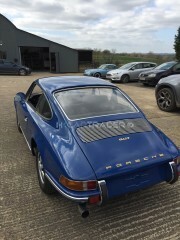 A great deal of love and care has been invested with total strip down, new panels (the only non original bodywork is the engine lid and rear bumper section – replaced with genuine Porsche panels), subsequent alignment and bare metal paint, (with e-coat protection), encompassing this ‘back to new’ restoration. The cabin has been completely restored back to original specification. All parts have been removed then any components possible have been retained, albeit stripped and retrimmed or painted. 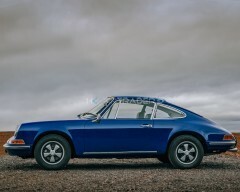 The original Porsche Comfort seats were disassembled and every part has been overhauled. The internal seat frames have been blasted then powder coated and the foams have been replaced with original specification/shape to make them as comfortable as when they were new. The chromework has all been re-chromed and the seats have been re-trimmed in original materials. 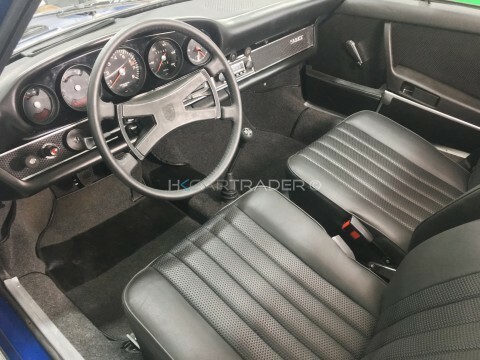 The extensive list of refurbished / retrimmed areas include the headliner, carpets and upper post trim has all been replaced with as new spec materials, the dials have all been disassembled, checked, cleaned, refurbished, then reassembled. The original steering wheel has also been retrimmed. 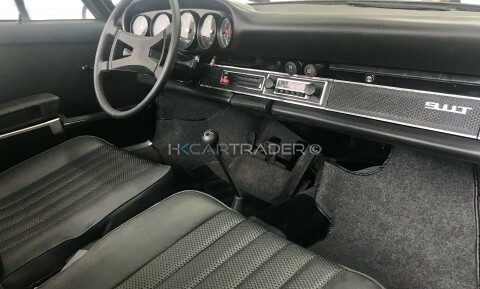 A period, (and COP correct), Blaupunkt Frankfurt radio in addition to a new Porsche dash centre speaker have been sourced and installed in the car. Instrumentation and switchgear is clean, crisp and fully operational. 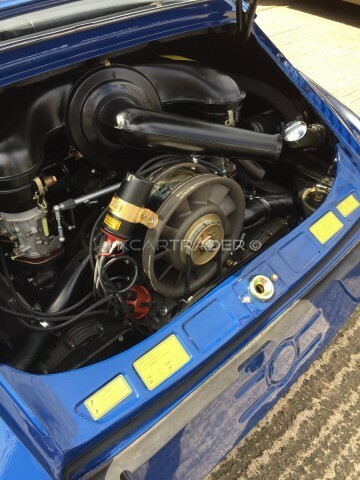 As with the rest of this beautiful 911, the original 2.0 litre flat six engine was rebuilt with no expense spared. The engine and gearbox have been stripped and checked and parts replaced where necessary, (gearbox syncros, engine valves, new pistons and cylinders etc). All the engine valves and heads have also been re-cut and re-seated. The magnesium engine cases were restored back to original colour and the engine and gearbox have been rebuilt with all new gaskets, bearings and seals. Weber carburetors were also on this car, from new, and these have been completely rebuilt with new jets, gaskets and float valves as part of this complete overhaul. Photographs showing the level of work and craftsmanship involved in this complete ‘nut and bolt’ restoration process are available. The car can be fitted with RetroClassic electronic air conditioning system prior to delivery to Hong Kong. Shipping and air conditioning are included in the price.